EBACC Beading Workshop - Ettalong Beach Arts & Craft Centre Inc.Ettalong Beach Arts & Craft Centre Inc.
EBACC is delighted to be able to offer a Beading Workshop. This workshop is suitable for both those new to beading and those who have already made beaded jewellery. During the first week the tutor will demonstrate the basic skills. 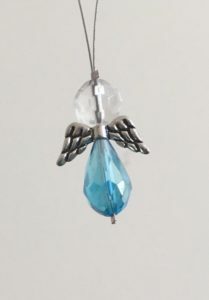 The tutor will supply a kit to make two items – a pair of earrings and an angel charm (cost $5 per student). 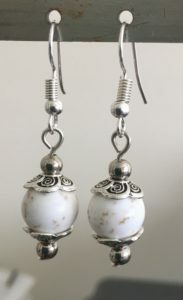 The student will then make the earrings and angel charm in the class. Students may choose to make one of the tutor’s suggested projects during the second week. The tutor will provide a bracelet kit for $10 and necklace kit for $15. Alternatively, the student will be able to make a project of their own choice. The tutor will provide information regarding suppliers.